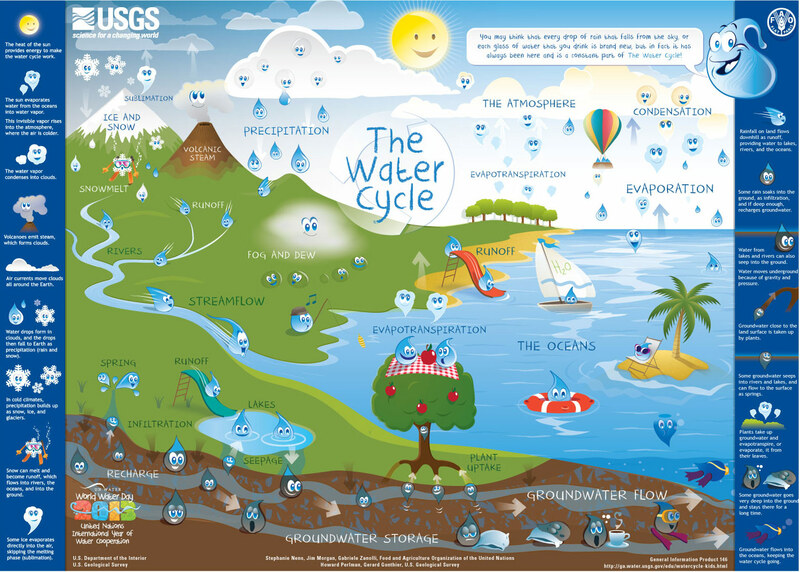 This webpage contains tons of resources including an interactive water cycle, a section for teachers with work sheets and activity ideas, picture gallery, activity center and much more! It even is available in Spanish and Chinese for bilingual programs! I would use this to have students do exploratory learning. After introducing the topic of hydrology and landscapes I would have them ask 5-10 questions about the topic. They would then be given time on the computers to find the answers to their questions using this site!